Nine things you didn’t know about equine Cushing’s disease but should. Cushing’s disease is a complex and yet relatively common condition in horses. While it does require medical intervention, this disease is not a death sentence, and horses with Cushing’s disease can continue leading a happy, productive life long after diagnosis. Here are some details about this confusing disease to set the record straight. 1. It’s all in a name. Long recognized in veterinary medicine but only relatively recently well understood, the name for this condition has evolved over the decades. The most accurate, current name for the condition is pituitary pars intermedia dysfunction, or PPID. Commonly, though, it’s still referred to as equine Cushing’s disease, which is much easier to say. The fancy medical jargon helps to distinguish this equine condition from the canine and human versions of Cushing’s disease, which are unique to their own respective species in various ways. 2. Age is a factor but not the factor. Statistics vary, but it’s often noted that one in 10 horses over the age of 10 has Cushing’s disease, and this statistic increases to roughly one out of three horses in their 20s. While it is true that the older the horse, the greater risk of developing this disease, it doesn’t mean younger horses are exempt. In fact, horses as young as 5 have been diagnosed. 3. Sick horse, can’t ride, right? Not necessarily. Perhaps because PPID has historically been classified as a “senior horse disease,” the notion lingers that these horses should be retired after diagnosis. 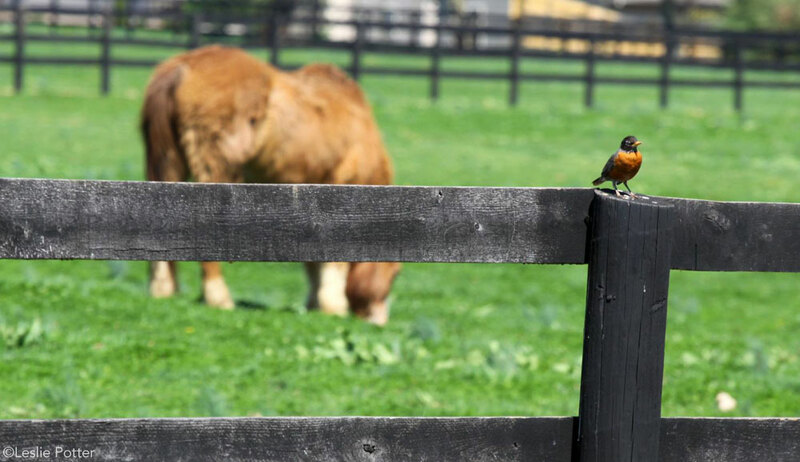 While the decision to retire a horse from work should always be based on that particular individual’s situation, PPID alone is not a reason to send a horse to pasture. Many PPID horses that are in otherwise good health and condition and are well managed with proper nutrition, hoof care, and medication, can still be physically active. 4. What really causes Cushing’s? Is it genetic? Perhaps a bit. Environmental? Hard to say. So what is the real cause of PPID? Simply put, it’s a brain dysfunction that slowly develops into a benign brain tumor. As age-related changes occur in the neurons of the brain, cellular activity, including cell division, can go haywire. In horses, cells in a specific, small part of the pituitary gland called the pars intermedia start to work overtime, releasing increasing amounts of hormones which travel in the circulatory system to other parts of the body. Over time, these rapidly dividing cells develop into a small tumor. Although it might seem strange to think of a brain tumor in this way (meaning, non-terminal), it’s actually very rare for this type of tumor to grow so large that it actually disrupts other brain functions. One of the hormones that increases in circulation due to the action of this tumor is cortisol, well-known as a “stress hormone” that can contribute to the development of laminitis, slow wound healing, and decreased immune function. As researchers haven’t yet discovered an extrinsic reason as to why some horses develop Cushing’s disease and others don’t, the condition isn’t currently viewed as preventable. Additionally, it’s important for horse owners to understand that there isn’t a cure for this disease; once diagnosed, a horse will require lifetime medication and dietary management to take control of the disease. However, it’s not all bad news. With the proper medication at the right dose, monitoring, and other changes as needed, this disease can be very successfully managed so that horses with PPID aren’t suffering. 6. There is an approved drug for it. In 2011, the drug Prascend (pergolide mesylate) was approved by the FDA for the control of clinical signs of PPID in horses. This is the gold standard management medication for this disease and it comes as an oral tablet. Not every horse with PPID will require the same amount of Prascend; your veterinarian will start your horse on a set regimen and then tailor the dosage based on your horse’s response to the medication. Typically, horses with PPID will experience resolution of clinical signs such as hirsutism (a long, shaggy coat that does not shed) and excessive drinking and urinating within six to eight weeks of starting the medication. 7. Stereotypes sometimes don’t fit. But, not all Cushinoid horses will appear this way. Remember that this condition is a result of overactive cells in the pituitary gland. Not all horses will have the same level of over-activity, and younger horses may only have subtle clinical signs that may manifest in nebulous or inconsistent ways. A thorough physical examination and diagnostic blood tests performed by your veterinarian are a must for proper and timely diagnosis of this condition, especially in younger horses, where the stereotype may not apply. 8. One disease can look like the other. Equine metabolic syndrome (EMS) is another complicated endocrine disorder in horses, involving insulin resistance and laminitis. Oftentimes, clinical signs of muscle wasting and abnormal fat deposits are seen in both EMS and PPID and, to make matters even more complicated, some horses can have both conditions. Diagnostic blood tests can differentiate the two diseases and both can be managed simultaneously. Fortunately, nutritional management such as a reduction in certain carbohydrates such as starches and simple sugars can be used in both conditions to help control clinical signs. 9. Remaining vigilant is the key to success. So your horse has been diagnosed with PPID, and your vet has him on a medical management regimen that appears as though it’s working. All done, right? Wrong. Cushing’s disease and laminitis like to go hand in hand. PPID horses, even when well managed, can still be at increased risk of developing laminitis due to their altered metabolism and its effect on the extremely delicate sensitive laminae, the structure within a horse’s hooves that keeps the coffin bone suspended within the hoof capsule. PPID horses are also at higher risk for infections. Regular farrier visits and close inspections of any nicks or scrapes are some of the best ways to stay vigilant when looking out for long-term health of your horse.